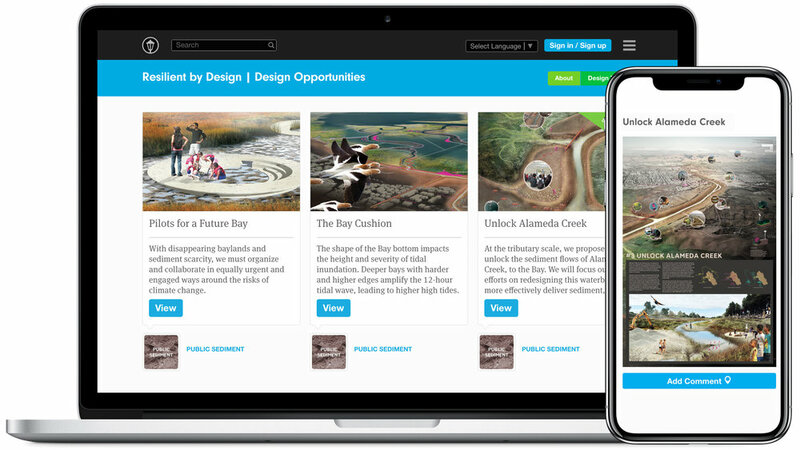 In order to get public feedback on the Design Opportunities and ground truth the ideas as part of the matching process, Resilient by Design partnered with Neighborland to create an online communication platform. Since not everyone has the ability or interest in attending a public event, this online tool was a great way to get local related to proposals around the Bay Area.Local experts were able to log online and comment directly on the renderings, sketches and text about each Design Opportunity. This information was used by the research advisors in selecting one of the Design Opportunities for each team.